Seven internationally-renowned chefs are coming together for a high-end gourmet gala dinner at the Vidanta Nuevo Vallarta complex in the Riviera Nayarit, kicking off the activities leading to the 2017 Vallarta Nayarit Gastronómica. 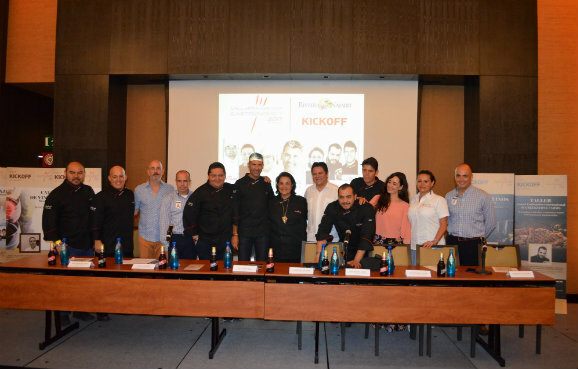 Seven prestigious international chefs—led by Spaniard Paco Roncero—gave start to the activities leading up to the 9th Vallarta Nayarit Gastronómica 2017 (to be held October 29 – November 1) with the KickOff Gastronómica, which includes a gala dinner, culinary workshops and Premium tastings. The details of the program for August 14, 15, and 16 were presented during a press conference held on Monday at the Vidanta Nuevo Vallarta complex; it includes different activities for guests of the complex as well as the visiting public. Though it was originally meant to be only a dinner with chef Paco Roncero as headliner, the KickOff Vallarta Gastronómico grew little by little into something much bigger with the addition of volunteers, sponsors and chefs. “Although it’s the kickoff dinner, it has taken on a life of its own,” said Consuelo Elipe, Managing Director of the Vallarta Nayarit Gastronómica 2017. During the three days that make up the KickOff Vallarta Nayarit Gastronómico guests and visitors will enjoy gourmet workshops led by Chef Aaron Mizrahi, who will cook different cuts of USDA choice beef; Chef Elías Sapién Jr., who will offer a workshop that focuses on different dietary regimens including kosher, vegan, alkaline and celiac, including the theory behind them and a demonstration of successful dishes and recipes; and Premium tastings on behalf of L.A. Cetto and other wines from Spain presented by Yamir Pelegrino, one of the top Master Sommeliers Wine & Cigar in the world. The finishing touch will be supplied by prestigious Spanish Chef Paco Roncero, who has two Michelin Stars and three Soles Repsol to his name, together with chefs Gerardo Iriarte, from Vidanta Nuevo Vallarta; Bricio Domínguez, from El Jardín de los Milagros in Guanajuato; Betty Vázquez, the Riviera Nayarit’s Culinary Ambassador and owner of Garza Canela in San Blas; Marco Valdivia, from the restaurant Emiliano in Tepic; Elías Sapién Jr., from Elías Sapién Catering; and Aaron Mizrahi, an expert in beef raised in the United States and International Chef Ambassador for Creekstone Farms. 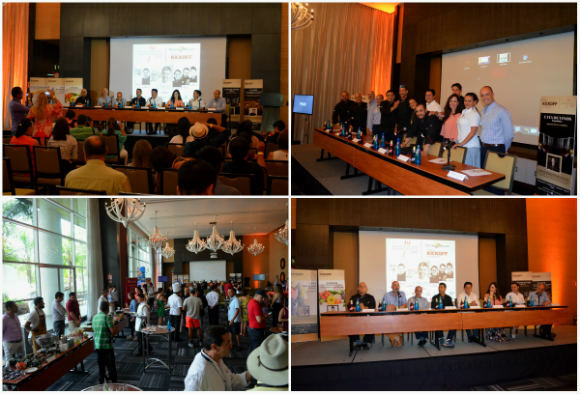 When referring to the 9th Vallarta Nayarit Gastronómica 2017, which will take place from October 29 – November 1, Director Carlos Elizondo mentioned that one of the top objectives this year was to increase the number of participating Michelin Stars—a feat that was well accomplished. Marc Murphy, Managing Director of the Riviera Nayarit Convention and Visitors Bureau (CVB), highlighted the role gastronomy has played as an “ally” of the region and a key component for the promotion of the destination. According to Murphy, more and more buyers are choosing the region because it offers much more than sun and beach—it also delights the palate. For more information on the KickOff Vallarta Nayarit Gastronómica and the 9th Vallarta Nayarit Gastronómica 2017 please visit www.VNGastronomica.com.